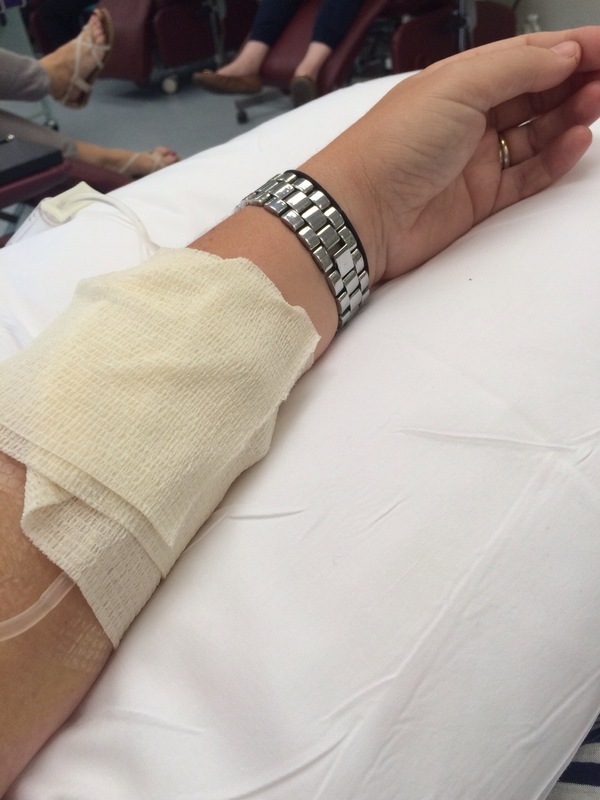 Chemo treatment day number 3 and out it comes. Washed my hair this morning and normally I get hair coming out on the brush after a wash but today it was noticeably more. Looks like I better get moving on those hats, wigs, scarves & whatever else I can find to cover up/protect this scone! It’s going to take a while to get around this wig idea to be honest. At first I couldn’t ever imagine wearing one, then after speaking to a friend who has been through this she said she had a couple that were good for going out when you wanted to feel ‘normal’ and not get stared at. She sent one of her wigs this week. 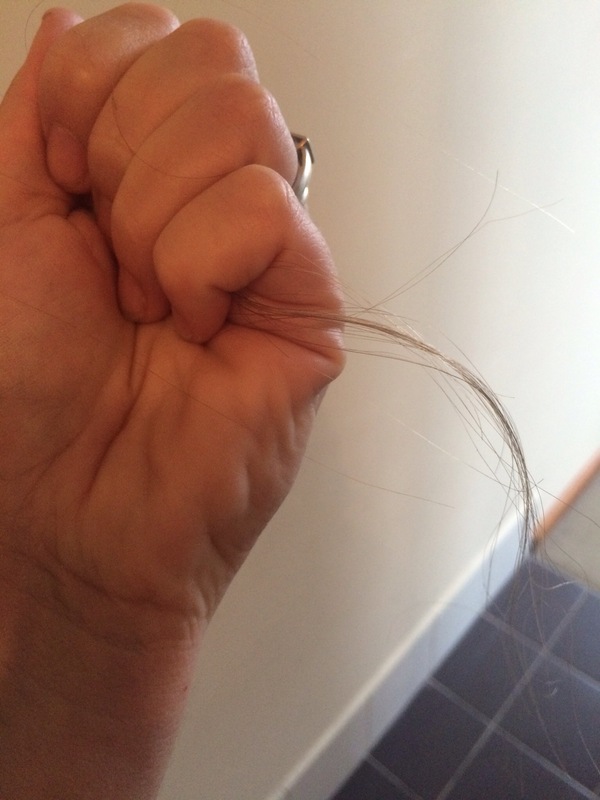 I got it out of the box this morning after I grabbed too much hair out of my own head – I put it on – it lasted less than 5 seconds and i threw it straight back in the box. I’m still not in that headspace. I know I’ll get there but learning not to put pressure on myself with things like that. Sitting here at chemo now, machines beeping and pumping, thinking about yesterday. Really!!! Abbey came running upstairs about 7.15am to say Poppy Bob had left a message on the answering machine & that he had bad news for me. It could only be one thing – Grandma. So I called him back and he got upset telling me Grandma had passed a away on the weekend. It’s no surprise. She’s 89 and in a home. She has dementia & has had a few strokes. Turned out it wasn’t true – Dad thinks it is! I sent a message to cousins Louise & Matt about Grandma dying and they asked me what I was talking about! So dad has been assessed as being able to look after himself – yep – he’s in a great state!!! And Happy Birthday ‘little’ brother. Mat is 39 today and every year it seems to hit me harder as I realise him getting older makes me older! We had a special visitor to celebrate Mat’s birthday this year – cousin Matt. Mat and I caught up with him about this time last year when he was in town on business – a few months after the boys ‘bonded’ at the races over east before that. Up until then it was probably about 25 years since we had seen Matt! I can’t remember the last time we saw him – would need to go back through photo albums to piece that together. It’s quite the sordid tale. Having Matt here was brilliant – he and Mat are alike in many ways and it meant a lot to my brother that he came over to see him for his birthday and to show me some much-needed and much-appreciated family support! 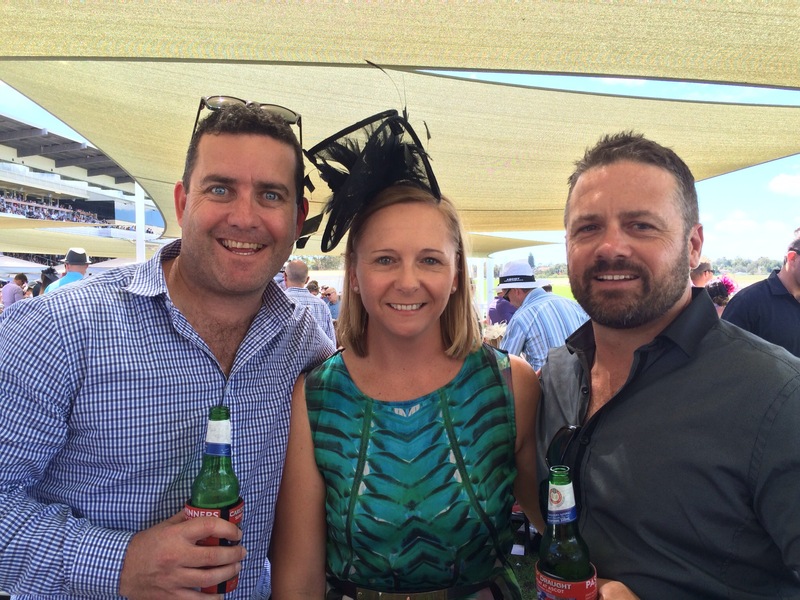 He came out to the races with us too – great memories to hang on to!